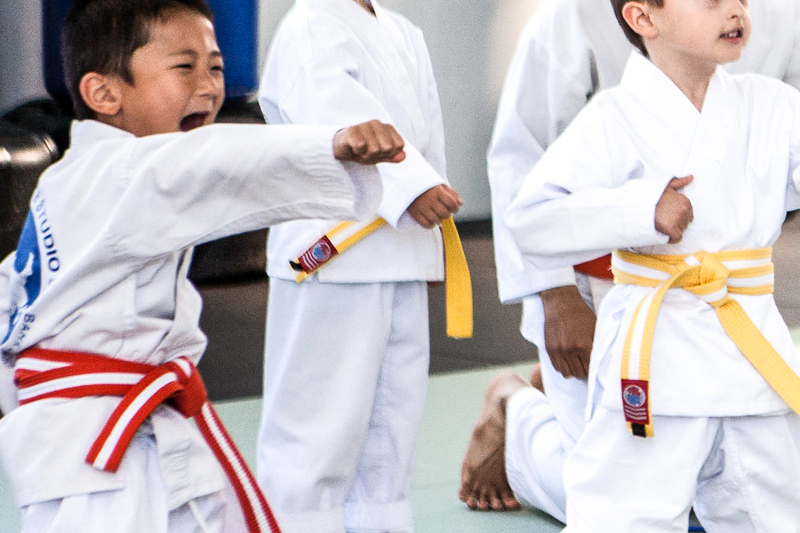 Our Tiny Tots program incorporates a unique blend of martial arts principles and fitness in a fun and educational manner. In this class children will develop fundamental life skills such as focus, discipline, confidence, leadership and respect. The physical benefits are profound, as children practice focus and balance utilizing basic kicking, punching, blocking, running and jumping exercises. In addition, our students grow emotionally and physically. Our class instruction is based on positive reinforcement to prepare children for the next level in their training.